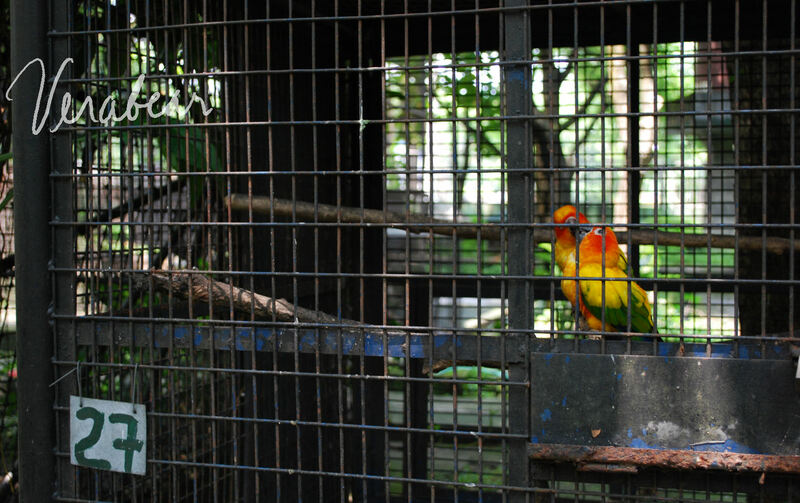 Apart from being a park where families can go to relax, unwind, have a picnic and enjoy nature in the middle of a bustling city, the Ninoy Aquino Parks and Wildlife is also a Nature Center. What this means is that rescued animals are nursed here until they can be set free again. For those who can no longer be brought back to their natural habitat, they stay in the center and those are the animals that people like us can visit. 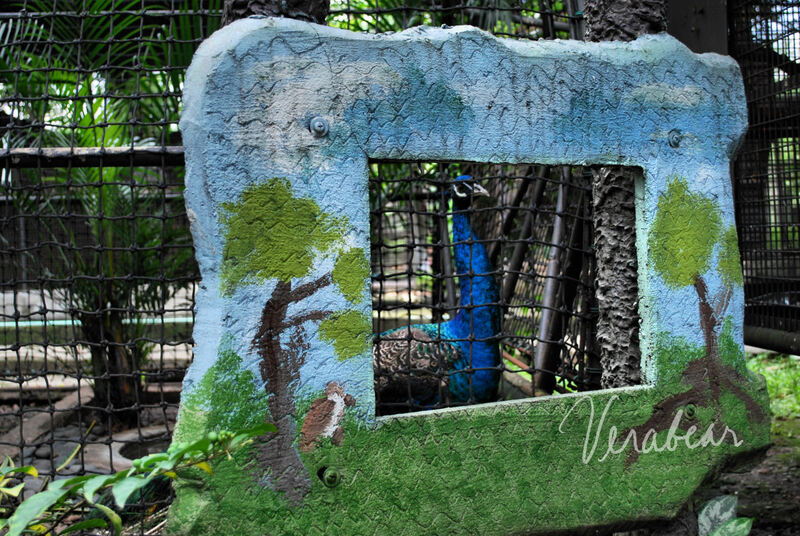 I have memories of entering an aviary as a young girl. A big one where you can see the birds flying around you. I still can’t be quite sure if this is a memory from a trip to the Wildlife or to Nayong Pilipino ( is there an aviary there?). I don’t know how many species of birds can be found at the Wildlife, I can’t even name the birds that we were able to see. 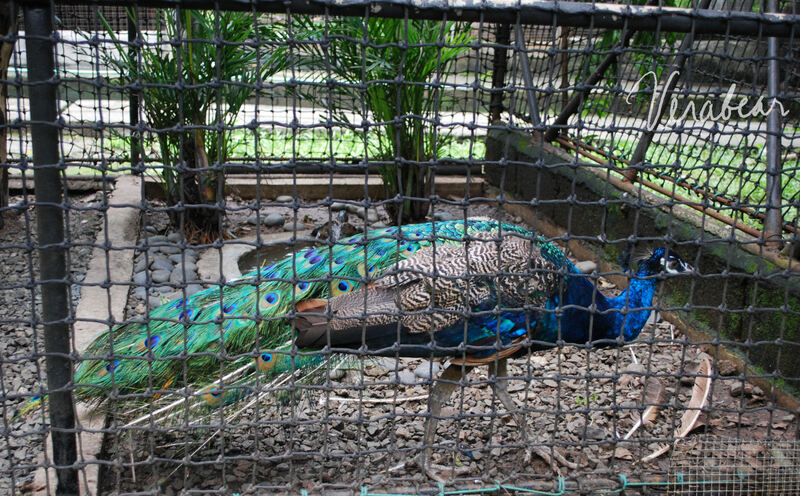 The cages are not properly labeled you see. I was quite frustrated though that the cages completely ruin your chances of a good shot. The animals are in cages, then there are railings that keep you more than an arm’s length away from the cage itself. For a frustrated photographer like me, there’s just too many challenges to think of. 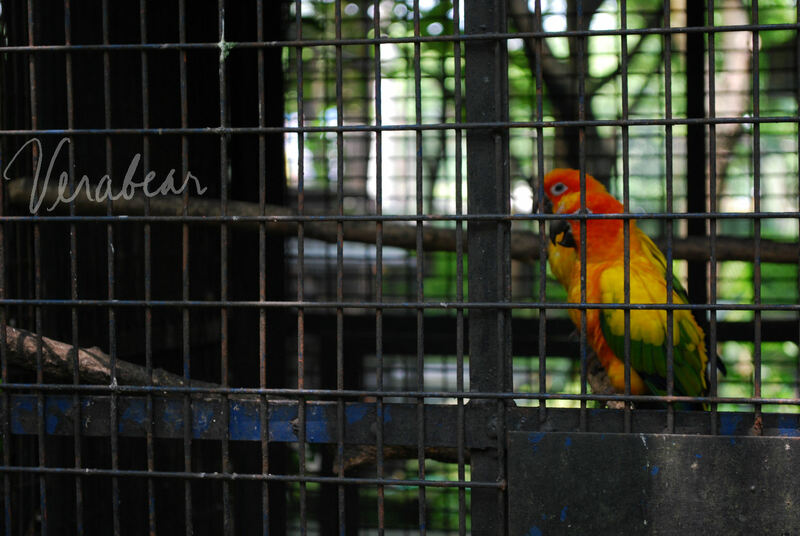 Haha 🙂 Nevertheless, blogging about our day at the Ninoy Aquino Parks and Wildlife will not be complete without showing photos of the animals we were there to see. Sheesh please do not ask me what these birds are called. I’d just tell you that they look like African lovebirds to me. You don’t agree? Well here they are kissing! There you go, kissing scandal at Cage 27. See, no labels at all to tell you what you’re looking at! So even if I wanted to educate Esban on what birds these are, I couldn’t! I’ve been to Ninoy Aquino Parks and Wildlife several times already. Natutuwa akong makita ang mga animals dito sa post mo. Meron akong favorite place dyan eh, the one that’s near the lake (or pond?) tapos may bridge then merong mga gazebo. Btw, the package already arrived! Thank you so very much! Few more days to go before the distribution. Yipee! So excited na. Salamat uli ha. Wow! I always wanted to visit Ninoy aquino park, would love to see those animals. They are so cute!